Chaos. Patronage. Bias. What went wrong—and how the government can restore public confidence. Someone told me: “We should have had UN observers monitoring Alberta’s last provincial election!” Alberta Liberal leader at the time, Kevin Taft, called it nothing less than “the worst-run election in our history.” At the time, I dismissed these comments as hyperbole, but I’ve come to recognize that the 2008 election was fraught with problems. Vigilance—by the government, Elections Alberta and election workers—was lacking. The building blocks of any democracy are free and fair elections. These are considered so important that Canada, among other countries, sends observers to new democracies to oversee the electoral process. Countries that have been democratic for well over a century still go to great lengths to ensure confidence in the way elections are run. Confidence in the electoral process in Alberta was badly shaken in 2008. Over a quarter of a million people who showed up to vote were not on the voters list, and no one knows how many left without voting, because of long lineups. Many voters were directed to the wrong polling station by Elections Alberta’s voter information cards. Many polling stations were disorganized, their staff ill prepared to carry out their duties. Other staff were not as vigilant as they should have been; voters complained about inconsistency in applying the rules, openly partisan behaviour in polling stations, and much more. It is critical to examine what went wrong. Such an examination is not an autopsy, exactly, because democracy is still alive in Alberta—but the vital signs are poor. At 45 per cent, turnout in 2004 was nothing to write home about, but a further drop of 4 per cent in 2008 is cause for concern. Low voter confidence will ensure continued low voter turnout. If the trend continues, in the near future we may have to declare democracy dead in Alberta. Elections Alberta is in charge of administering elections in the province. The office is headed up by Chief Electoral Officer (CEO) Lorne Gibson, who has a permanent staff of 16 in his Edmonton office. The CEO is an independent officer of the legislature who reports to the Standing Committee on Legislative Offices. After every election, the CEO presents a report to the committee; Gibson’s report, released on September 16, contained 180 recommendations. These included increasing the number of days for advance polls, allowing “anywhere voting” (i.e., voters would not be restricted to their designated electoral divisions), and changing the process of appointing Returning Officers. The job of CEO of Elections Alberta comes up for review by the government a year after a general election is held. The CEO of Elections Canada, on the other hand, has an unlimited term and can only removed with cause—and then only after a joint resolution of both Houses of Parliament. This ensures that the incumbent has a degree of independence and security of tenure enjoyed by judges. Officially, Alberta’s CEO is given the necessary independence to “speak truth to power” while on the job, but since he can be removed after an election, his “independence” is constrained. Our CEO should have the same security of tenure as his counterpart at the federal level. 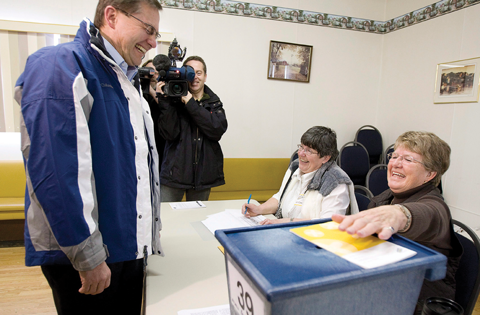 Elections Alberta needs approximately 16,000 temporary staff during a provincial election. The vast majority of these people work only on Election Day (E-day). The most important staff are Returning Officers (ROs), who are responsible for organizing the various tasks in each riding, including checking the voters lists for accuracy, renting office space, determining where polling stations will be located and hiring staff to work during the writ period and on E-day. In the rare event of a tie, ROs get to cast a ballot to break the deadlock. Another significant part of the RO’s job is to train Deputy Returning Officers (DROs). DROs are responsible for setting up each polling station, maintaining the ballot boxes and polling booths, swearing in electors, maintaining peace and order in the polling station and conducting the unofficial count. Elections Alberta trains ROs over a five-day period; they and their DROs are supplied with a detailed manual. ROs are actually patronage appointments—the Executive Council (provincial cabinet) appoints people to these posts. However, while ROs have long been selected by cabinet (essentially, by the premier himself), last year’s RO appointments had members of the public and the opposition parties stunned. Elections Alberta reports that fully half of the ROs appointed by cabinet had ties to the governing party. In Calgary-Montrose, for example, the RO was Linda Warkentin, whose husband was chair of the Conservatives’ nominating committee in the same riding. The RO in Calgary-Currie was Robin Darsi, who lost his bid for the Tory nomination in that electoral district. Allie Wojtaszek, RO in Edmonton-Meadowlark, was married to the president of the PC constituency association in the same riding. Photos Wojtaszek had posted to her Flickr webpage were circulated by the media, one captioned: “I am… a huge Ed Stelmach fan.” It is not illegal for ROs to have political connections, but as members of the Opposition pointed out, allowing partisan ROs is like allowing the referee in a Calgary Flames game to be on the payroll of an opposing team. Over 250,000 people were not on the voters lists. No one knows how many left polling stations without voting. Despite Gibson having misgivings, he assured me that Elections Alberta’s training sessions repeatedly stress the importance of neutrality and fairness in the exercise of an RO’s duties. Beyond this, he can only hope that the message is absorbed. Alberta does not have fixed election dates (something else Gibson recommended), and uncertainty about when elections will be called makes it difficult for Elections Alberta to find staff within a short time, a task made even more difficult by labour shortages. Soon after the 2008 election was called, the media reported that Elections Alberta was having difficulty finding workers. According to Gibson, they were ultimately short only 100 workers, so he believes a lack of labour was not a major contributor to the problems experienced on E-day. However, many ROs were not appointed in a timely fashion; some were hired in December and the rest barely a week before the writ was dropped. The delay in appointing ROs meant that all other hiring was also delayed; each RO is responsible for hiring staff for her or his constituency office and the hundreds of people who will work E-day. The failure to appoint ROs until very late in the process also affected the accuracy of the voters list. 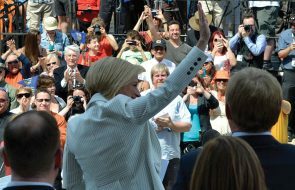 Until the 2004 election, Elections Alberta used door-to-door enumeration during the election campaign to construct the List of Electors. 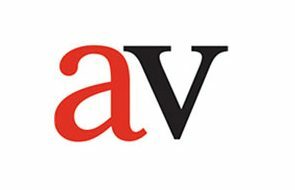 Enumeration, a uniquely Canadian institution, places the onus for registration on the government rather than on citizens. This method has the advantage of capturing many who might not otherwise make it onto the list (e.g., students, people who have moved, are hospitalized or have physical and mental disabilities, people with low incomes). A person on a doorstep is also a good reminder to voters about the upcoming election. Door-to-door enumerations have been abandoned in Alberta and other Canadian jurisdictions partly because many people are afraid to open their doors to strangers and also because changes in technology have made other alternatives more efficient and attractive. A move to a Permanent List of Electors (PLE) signals that the government has retreated from its responsibility to ensure that all citizens participate in elections. The onus has shifted to voters themselves to make sure they are registered. As a provincial election campaign typically runs for 28 days, it is a daunting task for enumerators to complete their job within such a compressed time frame. Elections Alberta compiled the 2008 PLE from a number of sources, including the National List of Electors (maintained by Elections Canada), personal health cards, driver’s licences and vital statistics. Voters could also register on Elections Alberta’s website. As this was the first use of the PLE, problems should have been expected—but the problems were certainly compounded by the delay in appointing ROs. Recall that cabinet is responsible for appointing ROs. As early as May 2006, Gibson made his first formal request for ROs to be appointed, but cabinet did nothing (ROs were appointed 13 months prior to the 2004 election). After the by-elections in June 2007 revealed that approximately 20–25 per cent of the PLE was inaccurate, Gibson informed the government and suggested the PLE be updated through enumeration in September. As enumerations are conducted by ROs, and the government was slow to appoint them, the PLE was not updated in time. Even though the List was eventually updated with information from various sources, Gibson felt that up to 25 per cent of citizens in each riding should be targeted for enumeration, due to population growth. The target enumeration took place in February in all but four ridings. Again, time constraints and a lack of personnel were blamed for the ridings that were missed. The fact that 257,176 people were added to the PLE on polling day bears out complaints about its inaccuracy. One wonders what would have happened had everyone who was eligible to vote—some 2.3 million Albertans—shown up at the polls. 50% of Returning Officers had ties to the PCs in 2008. Alberta also introduced voter information cards (VICs) in the March election. Elections Alberta sent out one million VICs; one batch was mailed 11 days into the campaign, the second a week prior to election day. An unknown number of VICs contained incorrect information, and many voters went to the wrong polling station. In some situations, it is likely that would-be voters simply went home. In spite of media coverage of the myriad problems on E-day, CEO Gibson sees little cause for concern. He is confident the election was a success, relying on the results of a Leger Marketing survey that shows that the vast majority of voters (97 per cent) were “somewhat” or “completely” satisfied and the fact his office received few complaints (particularly from the general public). The Liberal Party compiled a dossier of problems observed by their scrutineers in different polling stations. These included lineups, inconsistency in applying the rules regarding proof of identity, campaign signs outside polling stations, the location of polling stations being changed at the last minute, the inaccurate voters list, and many more. The dossier was sent to the Auditor General in June along with a request to look into the operations of Elections Alberta. Prior to E-day, the Liberals wrote to Gibson expressing concern about the potential for conflict of interest presented by ROs with close ties to the Conservative Party. They suggested Elections Alberta appoint neutral individuals to monitor these electoral districts on E-day to ensure that they were run in a fair and impartial manner. The CEO replied that he was distressed that the impartiality of election workers was being questioned and that he saw no reason to appoint outside observers. He also accused the Liberals of recommending that his office spend an exorbitant amount of money to duplicate services that were already being provided. Were staff at polling stations consistent in applying the rules? Were they zealous in ensuring impartiality? This sort of assessment can only be done by scrutineers from political parties. This presents a serious problem, because whatever the scrutineers say, it can be interpreted as being coloured by their partisanship. In other words, if (as I suspect) complaints from voters are privileged over those from scrutineers, then what the latter say might be discounted. Typically, scrutineers observe and record their concerns. If the issue seems sufficiently serious, they can speak to the DRO on the spot, or even contact the RO. However, most of their concerns find their way to party reports and action, if any, has to be taken after the election is over. One Liberal Party scrutineer reported an incident in an Edmonton riding in which an interpreter accompanied a large group of voters to the polling station and helped them get sworn in. Allegedly, he then went into the polling booths with them and ignored poll clerks who explained that he should not do this. The scrutineer claims she lodged this complaint during a phone call to Elections Alberta on E-day. Other scrutineers observed candidates bringing lunch or coffee to Elections Alberta staff. Staff working at polling stations swear an oath of secrecy, so they are not free to speak publicly about their concerns. They do, of course, pass them on to the DRO, who passes them along to the RO—but what if the DRO’s actions themselves are the problem? A DRO in rural Alberta (who does not want to be identified) felt compelled to relay her concerns to me, as she believes they are in the public interest. Her most serious allegation: that the ballots and the List of Electors for her poll were handed over to DROs a week before election day. As the DROs lived some distance from the RO’s office, this was done for practical reasons. It’s unlikely the situation could have been exploited to great effect, and there’s no reason to believe the workers in this particular case were untrustworthy. Nevertheless, the situation is ripe for abuse and should be stopped. Another concern involves training: she claims she and her fellow DROs received no more than five minutes of training, which led to inconsistency in how the rules were applied. She witnessed numerous instances in her polling station. Great emphasis was placed on efficiency, on ensuring that voters were able to cast their ballots as quickly as possible. According to the Elections Act, people whose names are not on the PLE need to produce two pieces of ID and swear an oath. However, DROs in this poll were told that if they (or another staff member at the individual stations) knew the individual, that was sufficient proof of identity. This DRO also observed that the scrutineer for the Conservative Party positioned himself at the entrance and greeted everyone as if he were “hosting” the event. There is nothing explicitly illegal about this, but the DRO believes this behaviour contributed to a cosy, clubby, partisan atmosphere in the room. In order to ensure that everyone working on E-day does in fact live up to the standards expected of them, Elections Alberta should perform spot checks. A hotline to report infractions would be an additional safeguard. Elections Alberta did have six former ROs in their office to field calls on E-day, but it seems they were there primarily to advise on technical matters. It would also be a good idea for the CEO to carry out a random sampling of election workers to probe their experiences on Election Day. This survey would need to include specific questions related to impartiality and neutrality of co-workers. Elections Alberta would need to offer assurances that workers’ comments would be absolutely confidential. My research into the most recent provincial election leaves me with a deep sense of unease. I did not approach this exercise as a witch hunt or an exposé. Like many Albertans, I was appalled at the voter turnout and concerned about the many complaints I heard about the electoral process. My overall sense is that there were no sins of commission. However, there is ample evidence, albeit anecdotal, that all was not well. An inaccurate voters list, erroneous voter information cards and a website prone to breaking down are fairly easily resolved. Staff will be better trained once ROs are given more time in which to train them. ROs themselves should be appointed by Elections Alberta’s CEO, ensuring that they will not only be less partisan and more accountable, but they can be appointed in a more timely fashion. 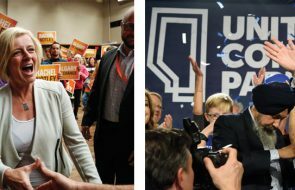 A much greater challenge is posed by something much more nebulous—the touching faith of Elections Alberta in the integrity of every single person working on Election Day. Given Gibson’s reservations about the RO appointment process, it is surprising that his office was not more vigilant in monitoring the performance of staff at polling stations. I am not impugning the integrity of election workers, but it is vital that mechanisms be put in place to ensure no one can get away with practices that are the least bit questionable. Because faith in the electoral process is so vital for the health of a democracy, Elections Alberta’s CEO and staff should be proactive during the campaign, and especially on Election Day. In addition to being fair, elections must be seen to be fair. The Alberta government itself must take responsibility for the integrity of the electoral process—democracy is not well served by public cynicism, by suspicion or by voters staying away from the polls in droves. The citizens of Alberta must also play their role, by demanding better: an apathetic electorate sends a message to the government of the day that few people are holding them accountable. The price of democracy is eternal vigilance, and sadly, this commodity was in very short supply in this province last March. Doreen Barrie is a political scientist at the U of C and the author of The Other Alberta: Decoding a Political Enigma.